Jaide's nursery class staged a performance for us parents and guardians to see. Thank God for teachers who put in so much effort to teach the child confidence and stage presence. Although Jaide did not do the actions very well, I'm very glad that she has an exposure to the performing arts at such a tender age. She was, after all, a year-end baby so she would naturally be slower in her development than her peers. 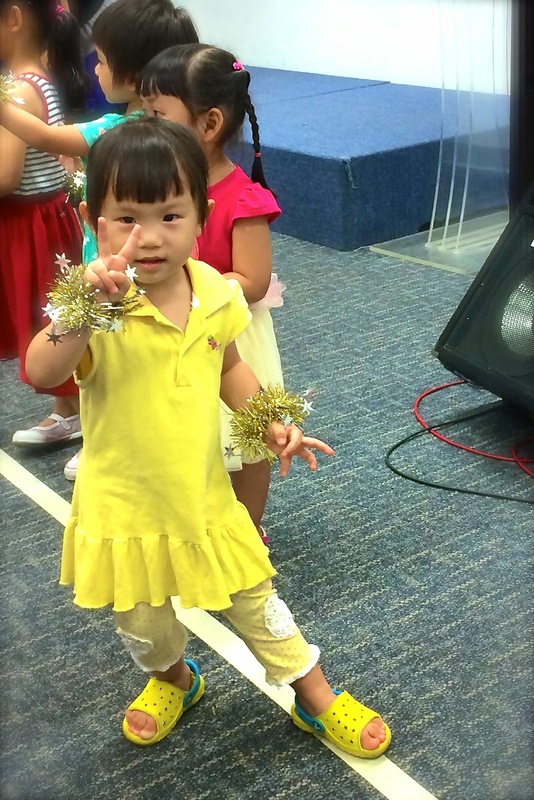 Her two older siblings didn't want to join the children choir in church. Perhaps she'll be interested to join in the future? Hee hee... We shall see. Watch her perform one of the songs.